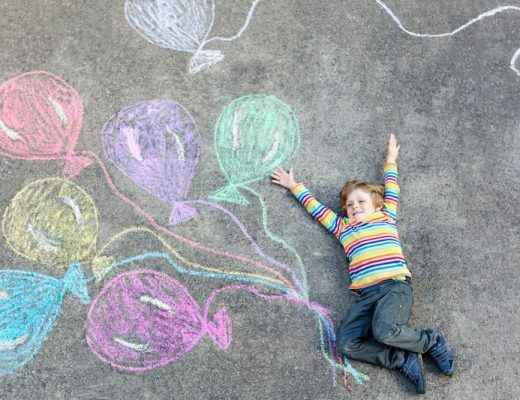 I love the Easter holidays. The weather is cooler and it’s a special time for our family, and that means food to share around. Sharing food with family and friends is my favourite way to eat. I especially love share platters, as everyone is guaranteed to enjoy something you’ve plated up. Around Christmas last year, I shared tips for creating an amazing grazing platter if you’re looking for a list of general food ideas that work well for platters. 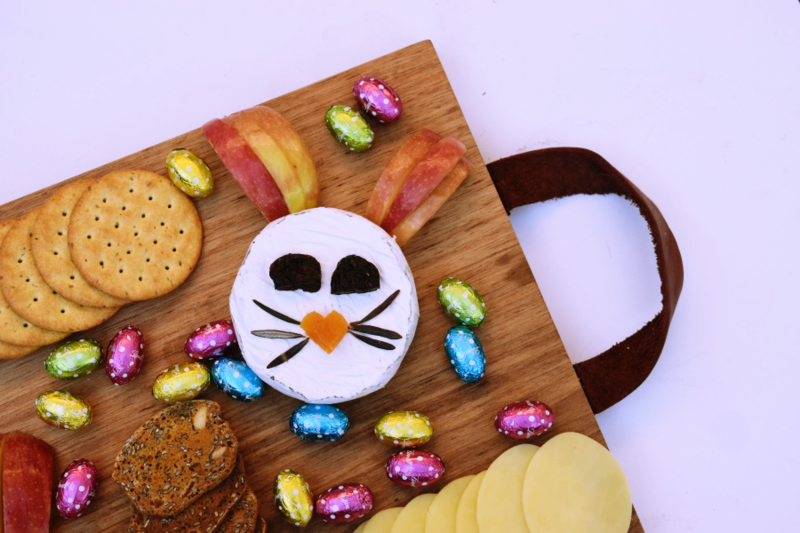 This time, I’m sharing tips for Woolworths about how to make a simple and affordable platter, with an Easter twist. Each platter will cost about $20 to make, which is super affordable. When creating a platter, I find it helpful to have a central focus, and then build around that. 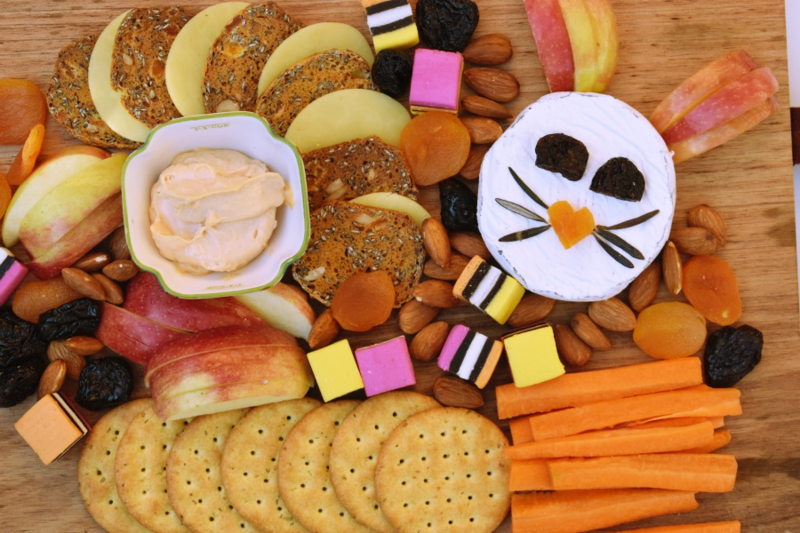 I decided to centre these grazing boards around cheese, and specifically, I had this idea of using the cheese as a bunny head. It turned out so well and it’s easy to achieve. 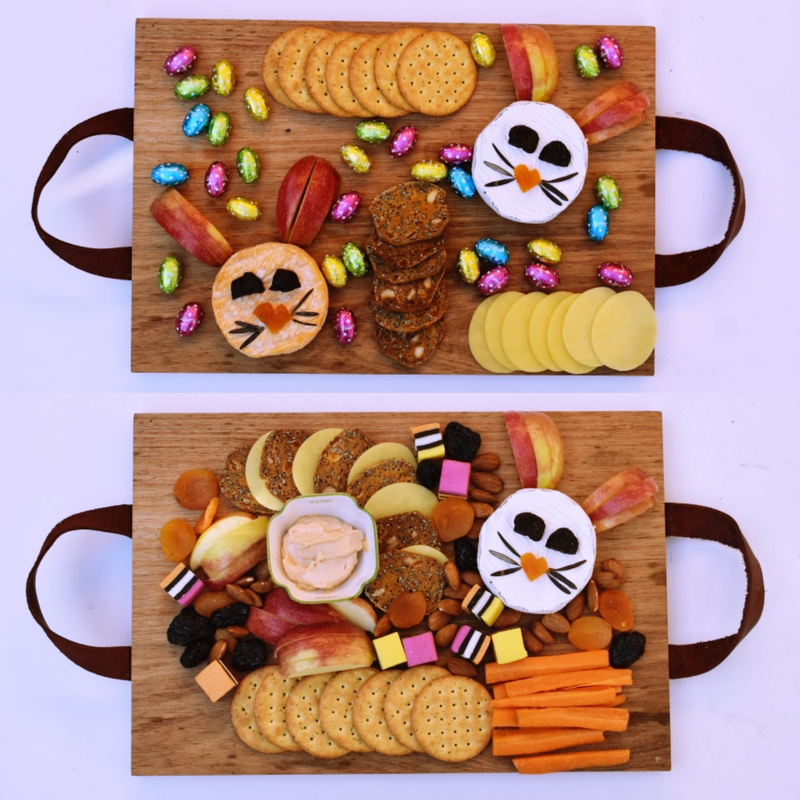 Once I had the cheese bunny heads sorted, I created two different versions: a cheese platter with three different cheeses, and a share platter (with more variety). We LOVE brie and camembert cheese at our place. 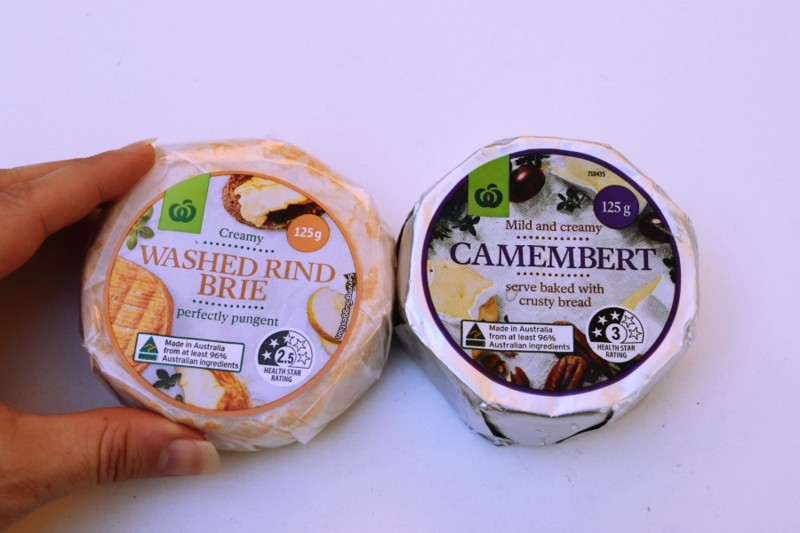 I tried the Woolworths Washed Rind Brie, Woolworths Ash Brie and Woolworths Camembert. Plus, I used the Woolworths Tasty Cheese which is always a staple in our fridge. 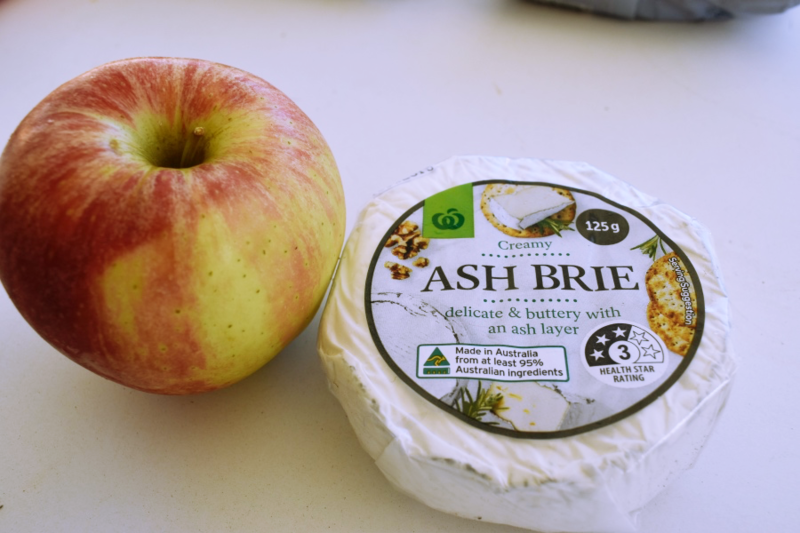 Our favourite cheese was the Woolworths Ash Brie – it’s delicious and creamy with just a little bite. 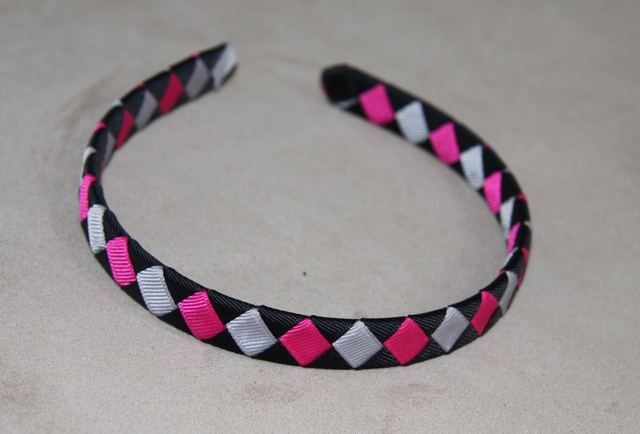 It goes beautifully with pink lady apple, which I used for the bunny’s ears. 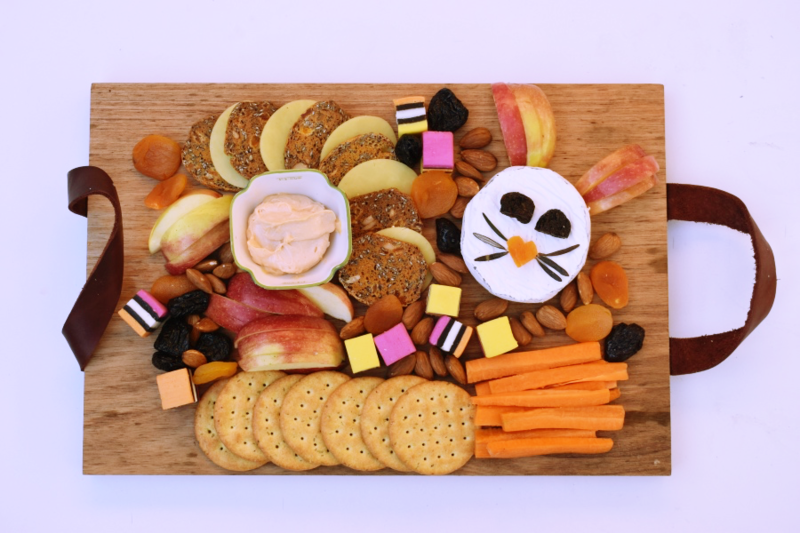 This platter features three different cheeses and it’s super easy to put together. 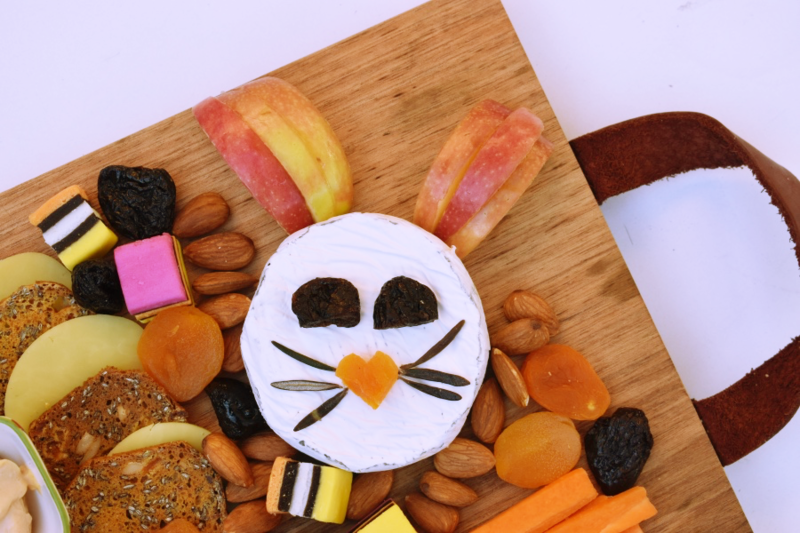 Cheese Bunny: Round cheese, prune eyes (cut one prune in half), dried apricot nose (cut in a triangle shape), rosemary whiskers and apple ears. Tip 1: For the apple slice ears, simply cut an apple in half, then slice around the core. 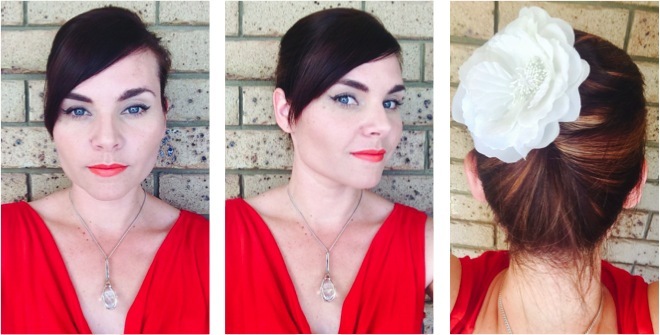 I used three slices per ear which is a good size and shape for ears. I drizzled a little bit of lemon juice on them to prevent browning, plus it gives it a little zing. As a side note, I always buy lemons from the Odd Bunch range (they might not be perfect on the outside but the quality is always really good). 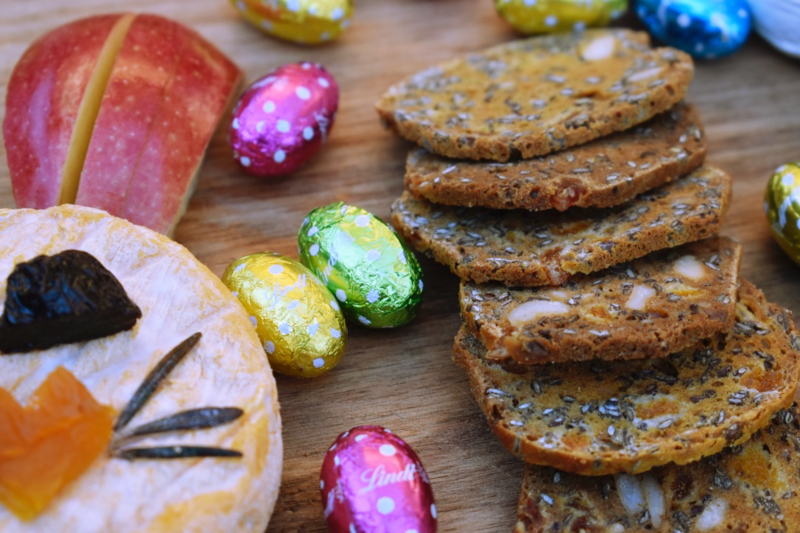 Tip 2: Use an egg cookie cutter and press onto sliced tasty cheese for to add to that Easter feel. They are the perfect size for crackers too. 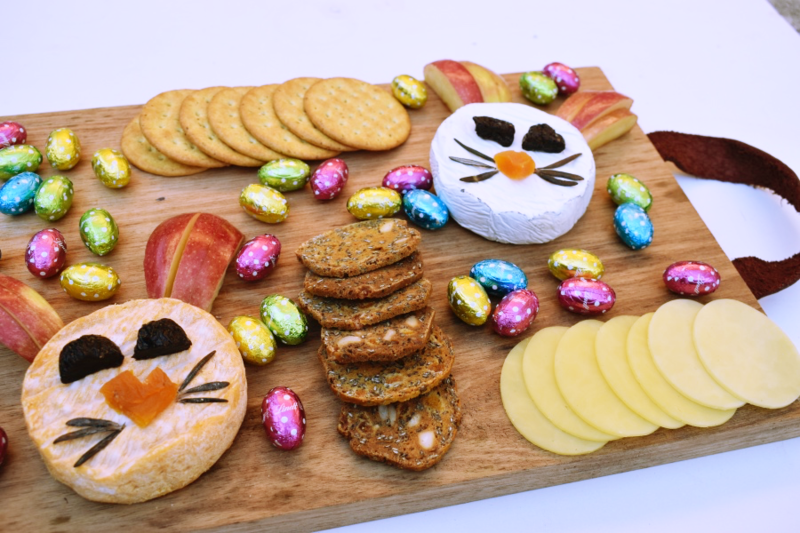 Tip 3: The Lindt mini eggs colours work well for this platter, but any type of Easter eggs would work. 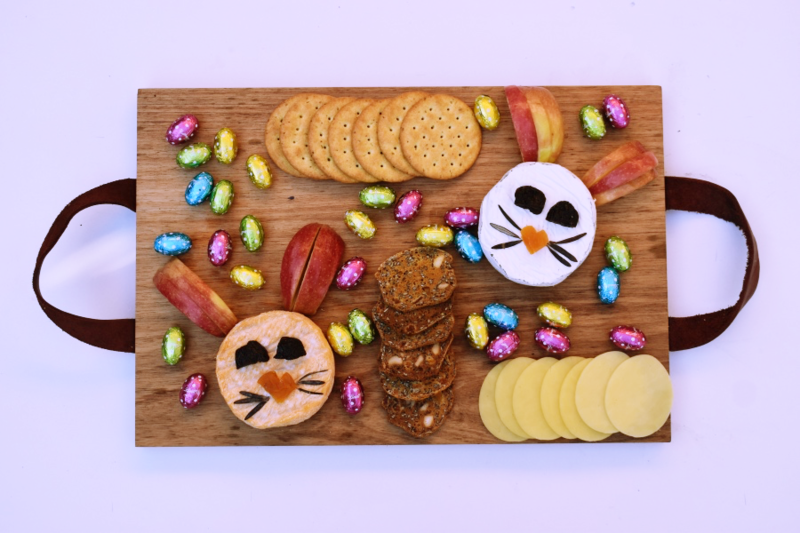 Just place the cheese bunnies on either side of your plate or board, with the crackers, tasty cheese and Easter eggs scattered for that extra pop of colour and you’re done! It’s as easy as that. A list of the products I used is at the end of the video. 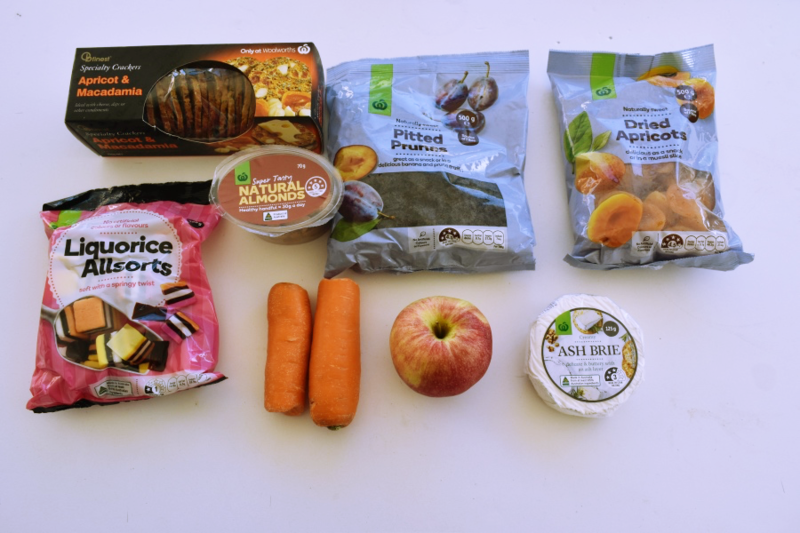 If you’re looking for more variety in a share platter, add dried fruit, nuts and veggies. 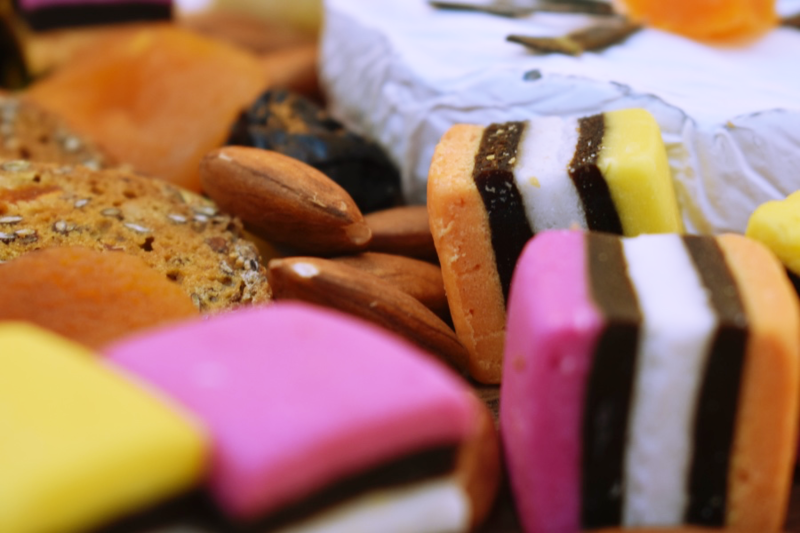 I also added liquorice allsorts to the mix for that sweet option; the pastel colours add to that Easter look. Tip: Like the lemons, the Odd Bunch Range carrots are great for platters because you cut them up anyway. Tip: For a nut free option, pretzels give you that salty hit. 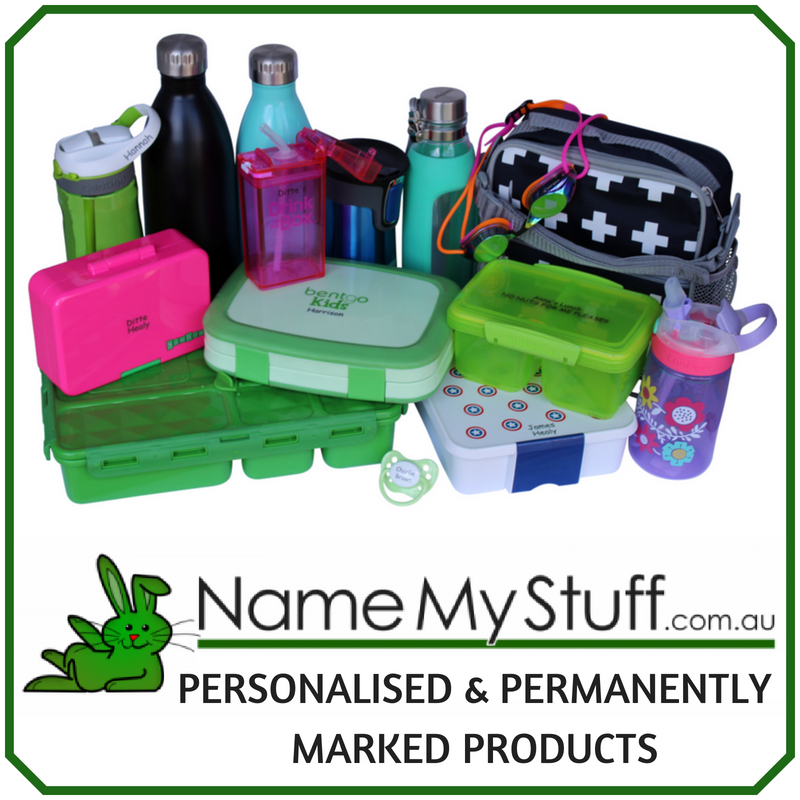 Check out the Woolworths Easter section for more ideas.